Christina Broom (née Livingston, 1862 – 1939) was a lone female London photographer of the Edwardian age and during World War One. Her achievements are all the more remarkable considering her small physical stature and the floor length dresses and elaborate hats she was obliged to wear at that time while lugging around cumbersome photographic equipment. Broom made a living out of postcards and also selling news images to the press. Lord Roberts and Queen Mary were among her great admirers, which helped to gain her often exclusive access to places like the Royal Mews and Wellington Barracks where she enjoyed carte blanche to shoot at will. 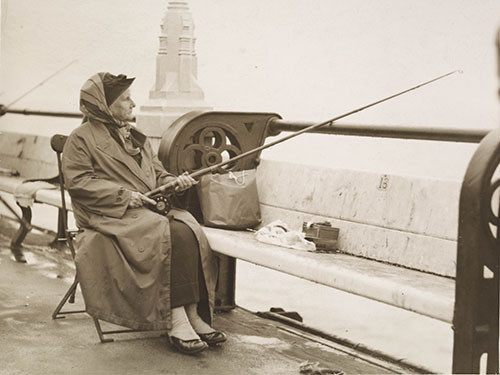 The result was hundreds images of London’s streets and people during the early decades of the 20th Century. 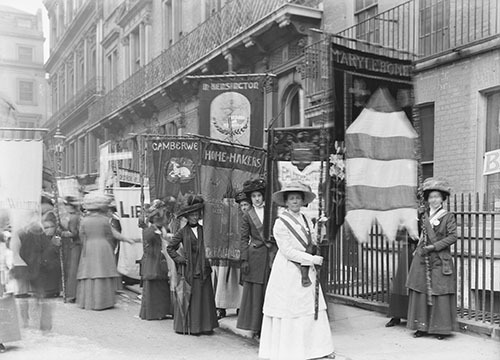 In 2014 the Museum of London acquired a huge collection of Broom’s work which – along with objects lent by the Her Majesty and others – form the basis of Museum of London Docklands’s main show for this year: Soldiers and Suffragettes: the Photography of Christina Broom. Curated by Anna Sparham, it opens today, 19 June and runs until 1 November. Entrance is free. 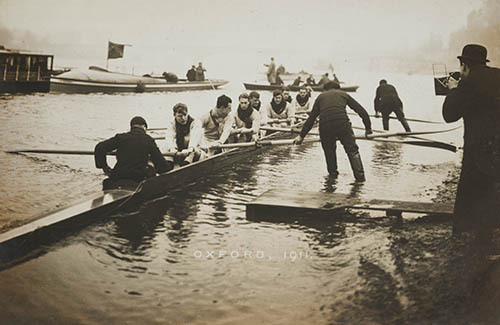 The content of this exhibition falls into four areas: soldiers and suffragettes, as the title tells us; and then there are the post cards and sports images, largely the Boat Race. From the historian’s viewpoint, the postcards tell us much about streets, vehicles, costume and architecture. If, like me, you are deeply interested in Edwardian London, this is milk and honey. But the emotional appeal of this show resides with the suffragettes of the pre-War era and the soldiers of World War 1. For the time, these photos are incredibly informal and relaxed. One senses a clear bond of trust between the subjects and photographer. This removes from them the anger, fear and bitterness that one is inclined automatically to associate with war and with protest, delivering a massively poignant and nostalgic effect. It’s very moving indeed, making us appreciate all the more the achievements and sacrifices of our ancestors from not so long ago. The Prisoners’ Pageant, including key members of the WSPU Emmeline Pethick-Lawrence, Sylvia Pankhurst and Emily Wilding Davison, themselves former prisoners, 23 July 1910 © Museum of London. In addition to these workaday pictures – her best – there are also interesting historical subjects: royal and aristocratic portraiture, funerals, coronations and the like. Special mention must go to Christina’s daughter Winnie who did all the film processing and printing, a very specialist job indeed back then. There are on show some of her notebooks of chemical formulae and so on. 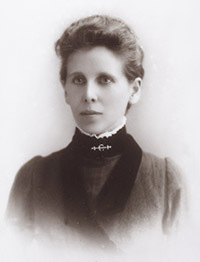 Winnie’s lab was based in the coal cellar of their Fulham home and she was known to produce over 1,000 prints of an evening while Christina went out for a well-earned game of whist. This is a superb exhibition which I am sure will help to build Christina Broom’s reputation as a Great in the history of photography, masterful at her craft, dedicated to it and a wonderful talent. 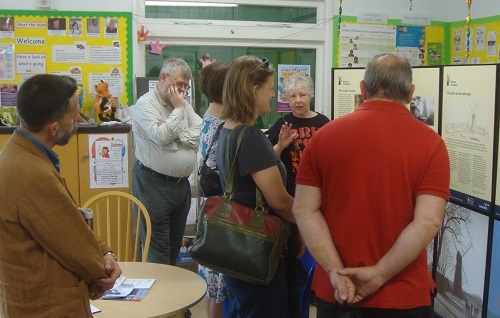 LH Member Caroline Derry reports on our outing to two great Brixton institutions on Friday 12 June: HMP Brixton (1820) and Brixton Windmill (1816). Our Brixton visit included two buildings a short walk apart, both built at the beginning of the nineteenth century, and both still used for their original purpose – but very different! The morning was spent inside HMP Brixton, which opened in 1819 as Surrey House of Correction. Initially innovative, it became overcrowded and conditions worsened to the point that drastic changes had to be made. It became a women’s prison, then a military prison, a remand prison, and most recently, a men’s Category C prison. Despite the changes and expansions over the centuries, parts of the original House of Correction survive. These include an external wall – which soon had to be heightened because prisoners were climbing over it to escape; and the governor’s house, which is of an unusual octagonal shape, a reminder that this was a very early panopticon-inspired gaol. The governor’s view included the prison treadmills, the first in the capital. Later survivals include the prison chapel, built in the 1850s when Brixton became a women’s prison. Today it is multi-faith, and was being set up for Muslim prayers during our visit. As a Category C and D prison, Brixton houses men whose sentences are within a year of ending. Vocational training is prioritised, and our visit was accompanied by the delicious smells of the Bad Boys Bakery (set up for a Channel 4 documentary with Gordon Ramsay, but still going strong). Finally, a delicious three-course lunch was enjoyed in the Clink Restaurant, which is also staffed by prisoners. We are grateful to our excellent guide Christopher Impey, fellow London Historian and the author of London’s Oldest Prison . HMP Brixton is on Jebb Avenue. Jacob Jebb was a long-serving and enlightened governor of the prison in the mid-19C. 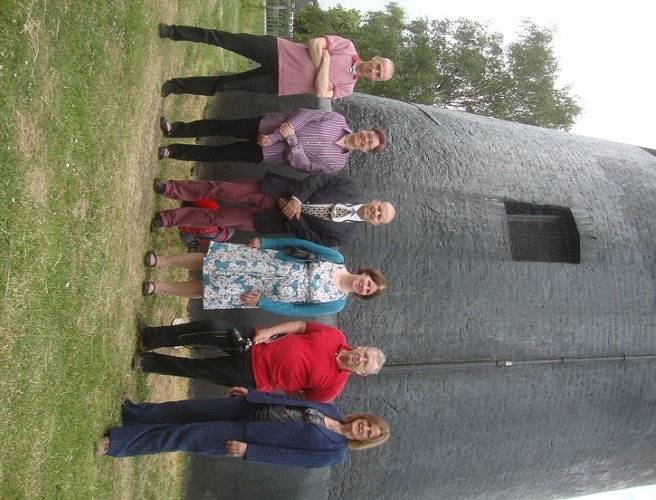 After a morning in spaces from which the public are usually carefully excluded, a quick stroll took us to Brixton Windmill, which positively welcomes visitors. It opens regularly during the summer, although we were fortunate enough to have the mill – and tea and cakes – to ourselves. 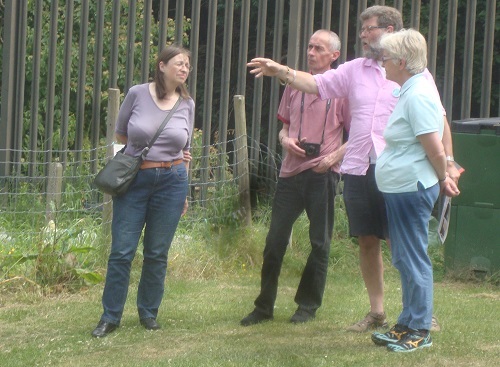 In the company of volunteer guides we climbed to the top of the building, which celebrates its bicentenary next year. 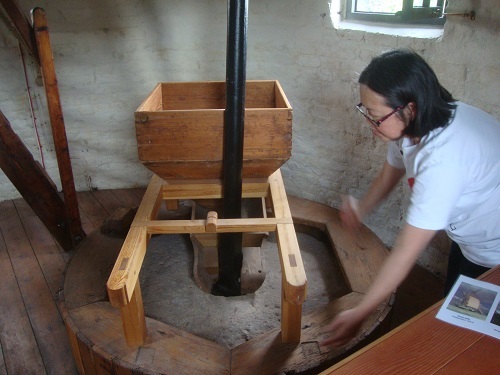 Like the prison, the mill has seen significant changes in its long life. 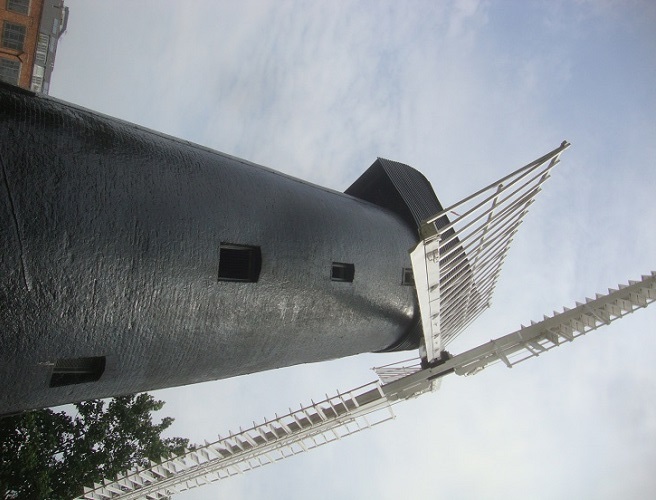 The Ashby family operated it as a windmill until 1864, when Brixton’s transformation from agricultural area to city suburb meant the all-important winds weren’t reaching it. The Ashbys moved to a watermill, but kept their Brixton site for storage. In 1902, though, it resumed milling once more – with steam-powered machinery. 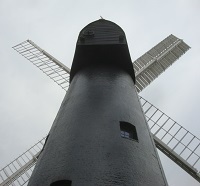 The mill finally closed in 1934, but was first restored in the 1960s. 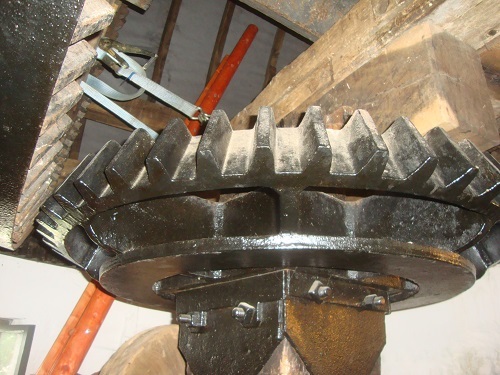 A more recent restoration in 2010 allowed the mill to open for tours, and it has even started milling flour once more! Today I remembered to attend one of the City of London’s more obscure ceremonies, the delightful celebration of the Knollys Rose (pron. Knowles). It has its origins in the 14th Century when the wife of a City worthy Sir Robert Knollys built a footbridge over Seething Lane, near their home. Without permission. Thanks to Sir Robert’s esteem (he was a chum of John of Gaunt), the punishment against the Knollys family was to donate a rose from their garden to the City of London every year henceforth, to be presented to the Lord Mayor’s home, today in Mansion House, of course. 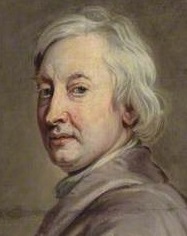 The Lord Mayor in the year of this outrage – 1381 – was Sir William Walworth a name possibly familiar to some readers. Yes, it was he who slew Wat Tyler that same year in Smithfield in the presence of the boy-king Richard II. There is a statue in his honour on Holborn Viaduct. 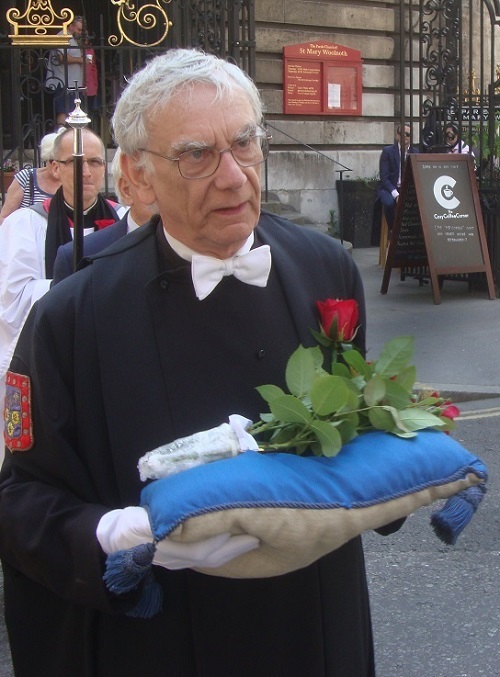 The Knollys Rose Ceremony involves the plucking of a rose from a garden in Seething Lane, placing it on a fancy cushion and then taking it in procession from the ancient and wonderful All Hallows by the Tower to Mansion House, by way of Seething Lane and Lombard Street. 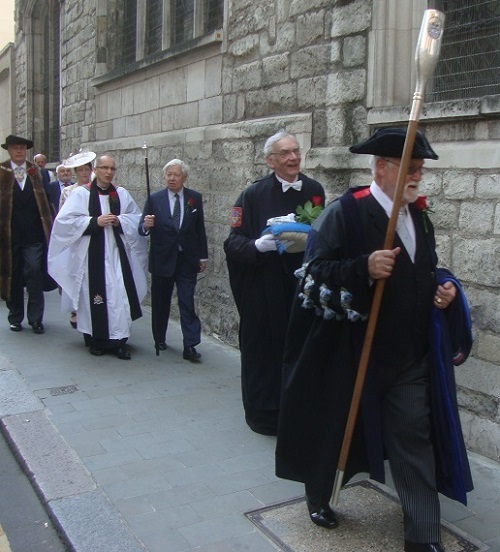 Leading the ceremony is always the Master of the Worshipful Company of Watermen and Lightermen, currently Jeremy Randall. 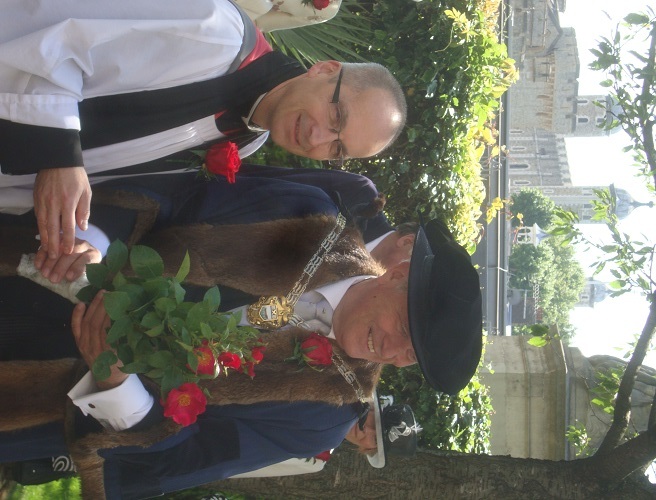 Rev Bertrand Olivier and Master Jeremy Randall with this year’s Knollys Rose. 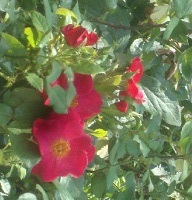 All Hallows’s garden. We’re on our way. But this year there was a twist, a very nice one. 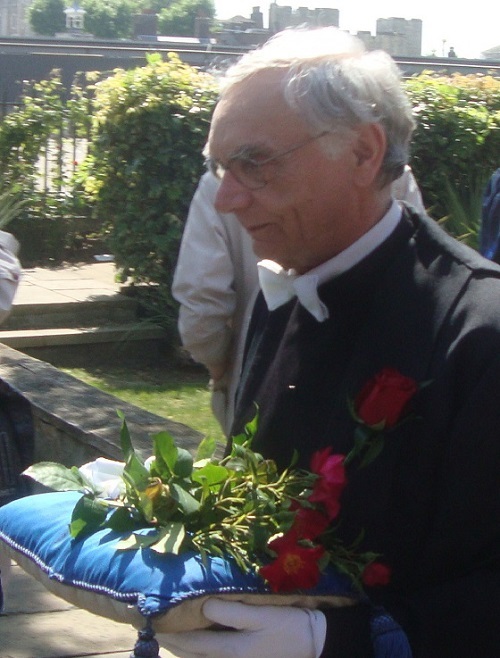 Owing to construction work in the Seething Lane rose garden, the garden behind All Hallows had to be used instead, with the kind permission of vicar Bertrand Olivier. But what about the rose? This year it was specially supplied by Talbot House on the occasion of their centenary. 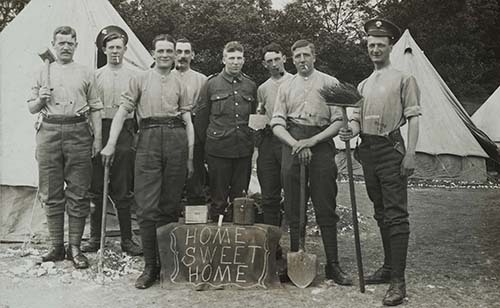 Talbot House was founded in 1915 on the Western Front as a haven for soldiers travelling to and from the battlefield. The man responsible: the legendary Tubby Clayton, vicar of All Hallows from 1922 to 1962. In that time he saw his church firebombed in the Blitz virtually to oblivion then restored completely. I can’t begin to describe to you what a lovely and historic church it is. But a while ago I gave it a try. Where it all kicked off: Seething Lane. Nearly there. Through Lombard Street. St Mary Woolnoth behind. A guest post by LH Member, Ursula Jeffries. I happened upon this description by Dryden of London on the day of a naval battle which eventually led to the Treaty of Breda in 1667. Something of a surprise appearing as it does at the start of his ‘Essay of Dramatic Poesy‘ but I thought you might like his description of how it felt in a time before news media! It was that memorable day, in the first summer of the late war, when our navy engaged the Dutch: a day wherein the two most mighty and best appointed fleets which any age had ever seen disputed the command of the greater half of the globe, the commerce of nations, and the riches of the universe…the noise of the cannon from both navies reached our ears about the City; so that all men being alarmed with it, and in dreadful suspense of the event which we knew was then deciding, every one went following the sound as his fancy led him; and leaving the town almost empty, some took towards the park, some cross the river, others down it; all seeking the noise in the depth of silence.